The legendary F1 driver tackles Suzuka in loafers! Senna is what made the original NSX the respected supercar it is today. Here is video of Senna's "last lap." On lap 7, from the onboard camera of Michael Schumacher's Benetton, Senna's car was seen to break traction twice at the rear, go off the track at Tamburello corner and strike an unprotected concrete barrier. Telemetry shows he left the track at 310 km/h (193 mph) and was able to slow the car down to 218 km/h (135 mph) in less than two seconds before hitting the wall. A National Geographic documentary concluded that that if Senna's reactions had actually been slower, he might have survived the crash. 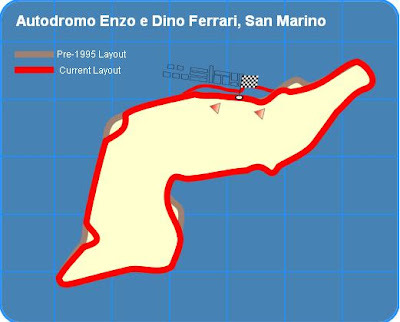 Below you can see the changes made to circuit in response to the deaths of Senna and Ratzenberger. Ayrton Senna's body was flown home, and on 5 May about half a million people watched the coffin pass by in a state funeral in Sao Paolo.